Welcome to Robson Furniture, you’ve come to the right place for a unique shopping experience because we understand that furnishing your property is representative of you, your personality and style. So, whether you’re furnishing a commercial or residential property, you can count on our expert team to build you bespoke furniture package deals with tailored customer service to suit your individual needs. Robson Furniture is proud to source exclusive furniture for you from around the globe – specialising in contemporary, classic, luxury and designer lines, we’re sure we can help you make your furnishing visions a reality. So, what are you waiting for? Have a browse through the thousands of quality products we have to offer ready to be delivered to your room of choice – we can even take away the packaging! If you can’t find what you’re looking for on our online store but you know exactly what you want and can describe it to us then contact Robson Furniture now by phone, email or even chat to us in the box below and our sourcing team will assist you ensuring the best customer service. Robson Furniture makes furnishing your property a breeze. We’ll make your commercial space workable and your residence a home. So you like to relax, unwind and rest surrounded by beautiful furniture – the kind of furniture that gives a cosy warmth to the bedroom and adds flair? Well we at Robson Furniture understand because we like that too! That’s why we have spent countless hours sourcing quality pieces and more than likely, there’s something sure to please you. From solid oak, pine, walnut, high gloss, mahogany, glass and much more Robson Furniture carries a wide range of bedroom furniture to please the eye and soothe the senses. Our expert sourcing team can assure you that we can help you find the products that meets your needs. So, whether you are looking for a nightstand or as some call it – a bedside cabinet, a chest of drawers, a bed, a wardrobe (we quite like the kind you can step into – contact us now to find out more), a dressing table, a mirror or a blanket box just to give your room that little bit extra, you can count on Robson Furniture to carry something that will WOW you! That’s what we’re talking about, the room in which you can really put your feet up after a long hard day, entertain your family, host your guests, spend time with yourself and destress and much more. Robson Furniture understands that a living room is often the focal point of your home which is visible to anyone entering your space. Our team appreciate the level of detail required in furnishing your living room with a true reflection of who you are to give your home the character and atmosphere you desire. The tone and atmosphere of your entire home can be transformed just by choosing the right materials and colours to suit your style. A coffee table? A lamp table? A nest of tables? A hall table? A TV stand? We are pretty certain that we’ve got something for you. Go on, dare yourself to explore our living room furniture available in pine, solid oak, walnut, mahogany, high gloss, glass, marble and more. If you have any questions at all, please contact us by phone, email or via the chat box below and allow us to assist you with our tailored customer service. Oh it’s the room that all of us at Robson Furniture tend to get excited about! It’s the room where you get to eat, host your dinner parties, entertain and show off your culinary masterpieces. If you’re looking for a dining table, dining chairs, dining sets, display cabinets for the more delicate dinnerware, a dresser or a sideboard, we have a wide selection for you to choose from. All of our products are available in a range of quality materials to suit your preference so if it’s marble, glass, solid oak, walnut, mahogany, high gloss or pine that will make your dining room a happier place, let us help you find the perfect pieces for you. Did we mention that the dining room makes the Robson Furniture team happier and that’s because we understand that it’s often connected to your living room and needs to be an extension of your style. Be sure to find traditional dining room furniture all the way to modern and luxury dining room furniture. Brought to you by Robson Furniture are beautiful and luxurious ranges of attractive marble furniture. Marble is a natural stone which is used by skilled craftsmen to produce beautiful furniture products. Find a large selection of products in our marble dining room and marble living room furniture designed to add charm to your home. Our marble dining tables are available in different shapes which include square, round, oval and rectangular. You can also select from our large selection of dining chairs which complement our marble tables. All of our marble furniture ranges are very easy to clean and do not require much maintenance. We do however recommend that you use coasters for hot plates and dishes to protect the table surface. The most amazing fact about marble furniture is that each piece is unique and has its own character. Each piece is hand polished and then coated with a clear lacquer which prevents the surface from stains. 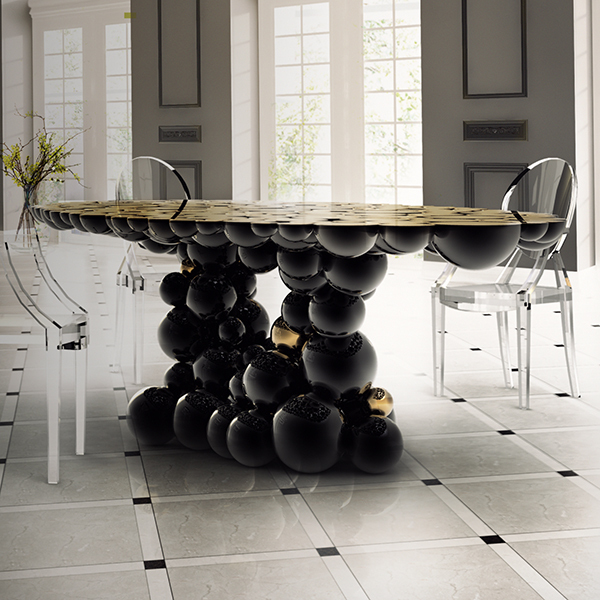 Robson Furniture offers black marble dining tables and white marble dining tables to suit your requirements. Definitely one of our best selling materials, glass furniture is extremely popular because of its contemporary and modern look. Glass can be moulded in to almost any shape producing thousands of unique and stylish furniture products. Our glass category consists of glass dining room furniture and glass living room furniture. We feature loads of designer glass furniture items which have been carefully sourced from all over the world. Many additional colours are available which include white glass, smoked glass, clear glass, extra clear glass and smoked glass furniture. All of our glass furniture products are made using toughened glass which varies in thickness depending up on each item and complies with safety standards. Looking for something solid and designed to last for years to come? Well you have come to the right place. Oak is the most popular material used for making wooden furniture due to its strong characteristics and durability. Robson Furniture offer a huge variety which covers solid oak bedroom, solid oak dining room and solid oak living room furniture handmade by skilled craftsmen. Many of our products are made using high grade solid oak which is sourced from sustainable forests and is environmentally friendly. We even have ranges that are made from reclaimed solid oak with a rustic oak finish. Offering the latest designs in oak furniture with a large variety of finishes. We have recently added a brand new range of dark wood oak furniture which looks completely unique and trendy. If you are looking to give your home a traditional feel, then you have come to the right place. Robson Furniture is proud to offer you exquisite and unique antique style furniture pieces which are made completely by hand using traditional techniques and influenced by 18th century designs. Our valued customers are given endless possibilities when it comes to customisation. Bespoke furniture is the way forward now a days as you get to choose your own materials, finishes, dimensions and even colours. Nothing is impossible here at Robson’s. Our antique living room and dining room furniture ranges add a majestic touch to your home. Only the finest materials are used by the production department which include solid oak, solid walnut, ebony wood, crown ebony and burr poplar. Al of the materials are sourced from environmentally friendly sustainable forests. We carry a complete range of antique style living room, bedroom and dining room furniture. Let Robson Furniture help you completely transform your home with beautiful reproduced pieces of luxury and traditional furniture. Robson Furniture are world known for offering their customers with the most recent trends of designer and unique pieces of furniture. Our design team have carefully sourced and hand picked each product making sure that they are made from the highest quality materials and beautiful hand applied finishes. Our speciality is Italian furniture which is made to your exact specifications and measurements. We proudly stand strong behind each of our products ensuring our customers get nothing but the highest quality products. 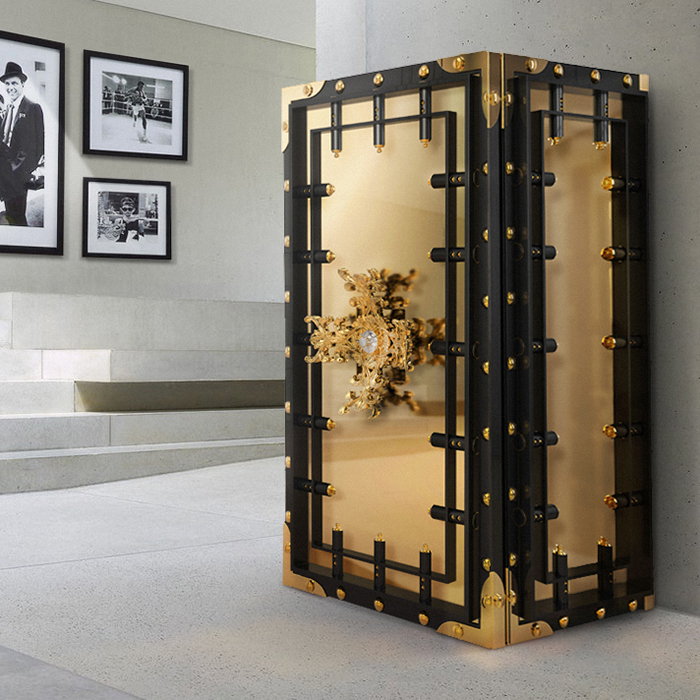 Here you can find glamorous pieces of furniture by exclusive designers such as Brabbu, maison Valentina, Boca Do Lobo, Tonelli Design, Gallotti & Radice, Fiam Italia, Celio France, Camel Group, Circu, Caspani, Carpanelli, Iain James Furniture, Riflessi, Mark Harris, Vida Living and many more. Our expert sales staff are always at hand to help you and provide you with an award winning customer service and an unforgettable shopping experience. Allow us to transform your home by selecting from our interior ranges which cover designer bedroom, bathroom, living room and dining room furniture. Find pieces with royal finishes which include silver and real gold leaf luxury furniture. Let us introduce you to hand picked eye catching products in our luxury furniture range which has been carefully sourced from all over the world. Our comprehensive collection covers luxury bedroom furniture, luxury dining room furniture and luxury living room furniture. Be amazed by our designer furniture category where you will find the most unique furniture products which are not easily available on the high street. These products can also be customised to your exact requirements with size and colour options available. We have a specialist team here who help you find exactly what you are looking for even if you cant find the ideal piece of furniture. Simply let us know what you want and we will bring it to your door. Some of the styles available are luxury French, Italian, designer, modern and contemporary furniture. We even have products which feature real gold leaf finishes that are built to give your home a majestic feel. Introducing our brand new collections of limited edition kids furniture designed and manufactured by world famous Circu in Portugal. 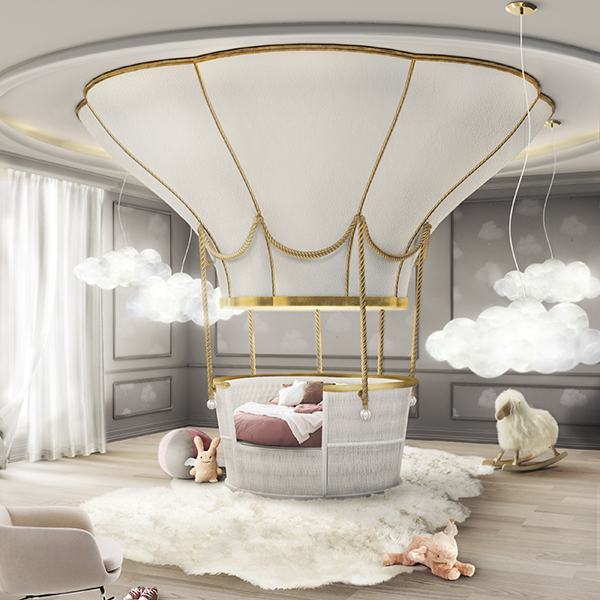 In this section you can find magical and luxurious pieces of furniture for your children which are absolutely out of this world. Choose from exclusive beds designed for little boys and girls. Most of these beds are inspired by famous Disney movies. For boys we have Sky Beds which are planes and you can have them in any colour of your choice. For little princesses, we have our Mermaid Bed and the Fantasy Air Balloon Bed which is sure to turn their bedrooms into a little magical kingdom. Completely transform your childs bedroom and make their dreams come true with an irresistible package deal by Robson’s. Each piece can be customised to your specific requirements with colours and dimensions. Are you prepared to have your mind blown away? 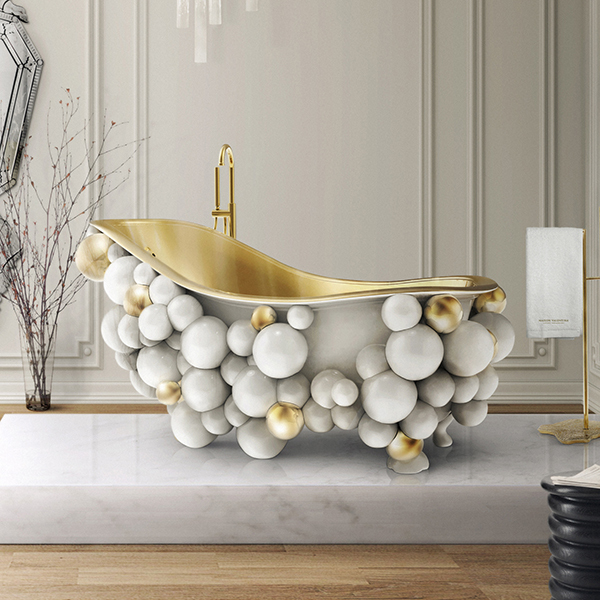 Introducing to you the most exclusive and limited edition pieces of luxury bathroom furniture. Our designer pieces are constructed by a world famous designer Maison Valentina who are located in Portugal. On our website you can find true masterpieces which have been built by hand using only the finest materials known to man. Our main motive here at Robson’s is to cater to our customers in any way and accommodate each requirement. 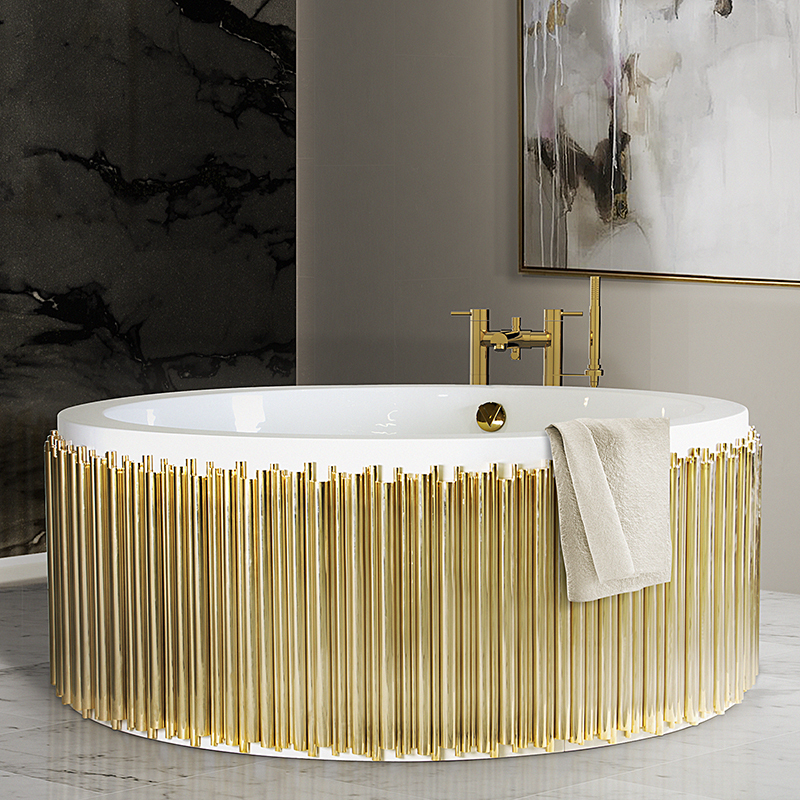 Our Newton Bathtub always steals the show. 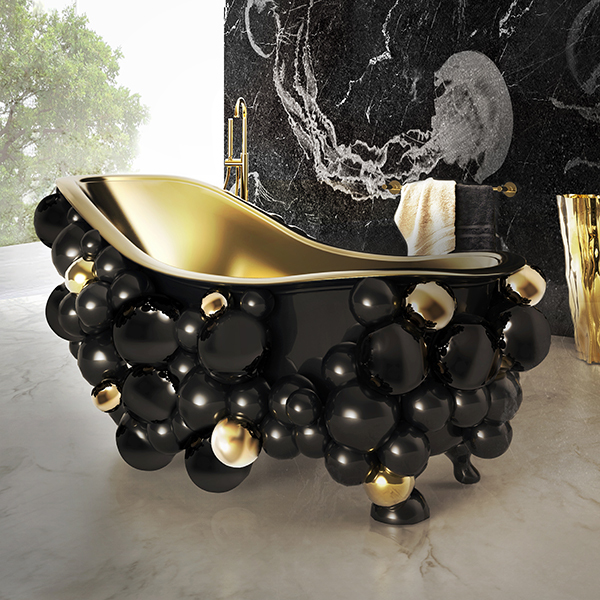 We can even alter our beautiful luxury bathtubs and wash basins to your own specification. Simply let us know what your requirements are and we will make it happen. Games rooms have become extremely popular with modern properties these days. We are bringing to you a variety of pool, snooker and billiards tables. Available in the most amazing styles and designed for you to choose from. Each piece is also customisable to your exact specifications. Order your modern pool table in any size that you desire. Pick from a range of colours and cloth colours. You can also have your pool table as a dining table with a concealed top. Contact our expert sales team and we will help you find the perfect product for you. Also select from designer and luxury glass pool tables. 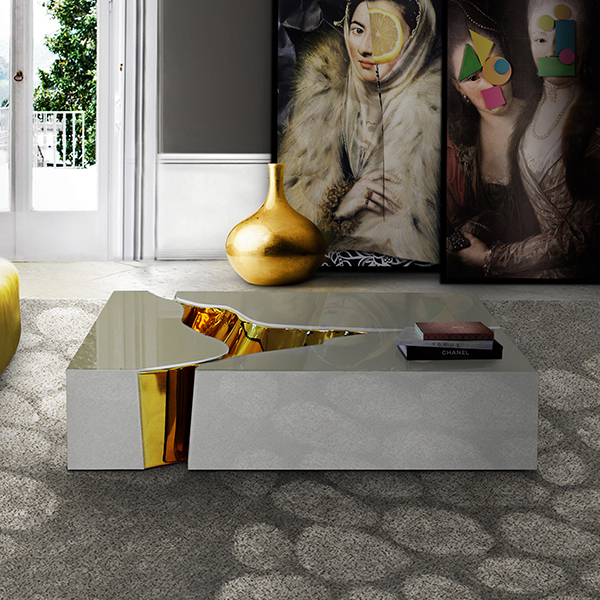 We are proud to keep up to date with the latest trends and the ultimate luxurious pieces of furniture. Find mind blowing products which have been constructed using the finest materials that this world has to offer. Find pieces which range from classic luxury to the most modern and contemporary styles. Most of the products in our luxury range are made by hand and finished with gold leaf, silver leaf and 24 carat pure gold plated. We also offer our customers the option of making alterations to products which suit your needs and requirements. Our Tiffany range and luxury Royal range are made from natural stone and are perfect for a palace and royalty. Luxury gold furniture is increasing in popularity and is chosen by many of our customers. Robson Furniture. 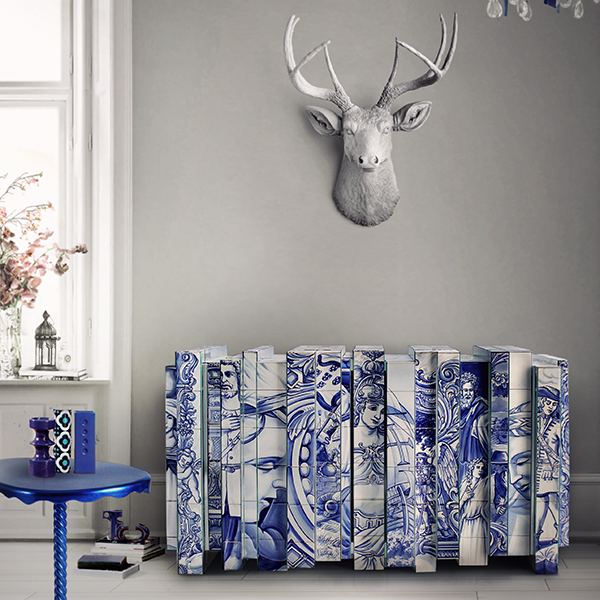 Furnish with Style – Furnish with charisma. Make yourself and them look twice!